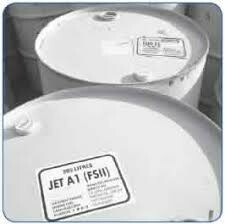 Jet fuel or aviation turbine fuel (ATF) is a type of aviation fuel designed for use in aircraftpowered by gas-turbine engines. The most commonly used fuels for commercial aviation are Jet A and Jet A-1, which are produced to a standardized international specification. 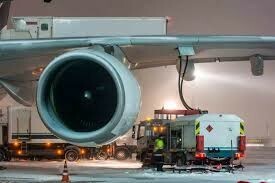 The only other jet fuel commonly used in civilian turbine-engine powered aviation is Jet B, which is used for its enhanced cold-weather performance. 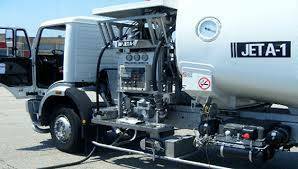 Jet A specification fuel has been used in the United States since the 1950s and is usually not available outside the United States and a few Canadian airports such as Toronto and Vancouver, whereas Jet A-1 is the standard specification fuel used in the rest of the world. Both Jet A and Jet A-1 have a flash point higher than 38 °C (100 °F), with an autoignition temperature of 210 °C (410 °F). Jet B is a fuel in the naphtha-kerosene region that is used for its enhanced cold-weather performance. However, Jet B's lighter composition makes it more dangerous to handle. For this reason it is rarely used, except in very cold climates. A blend of approximately 30% kerosene and 70% gasoline, it is known as wide-cut fuel. It has a very low freezing point of −60 °C (−76 °F) and a low flash point as well. It is primarily used in some military aircraft. It is also used in Canada because of its freezing point.